Chase Jarvis is an established artist and entrepreneur. Having worked with some of the top names in business, like Richard Branson, Arianna Huffington and Mark Cuban, he’s created a niche for himself in the creative and financial world. Despite his many successes, Chase was open to attending Tony Robbins events and learning more about himself. How many times in your life have you thought about making a change? Whether it was considering doing something for your health, finances, relationships or career, there’s at least one area in your life that you’d like to be different. How did you go about making those changes? Were you able to succeed in creating a major shift in your life, or did you make a temporary change just to eventually revert back to your old ways? What Chase and thousands of others have experienced at UPW is exposure to real ways to create lasting change. At Unleash the Power Within, you’ll confront your fears or any limiting beliefs you hold about yourself and learn to push past them. The 3 ½ day experience allows you to explore proven strategies for personal growth. You’ll listen to speakers who have created positive change in their own lives, and learn how to let go of what’s holding you back. Does the thought of learning alongside thousands of others make you feel nervous? 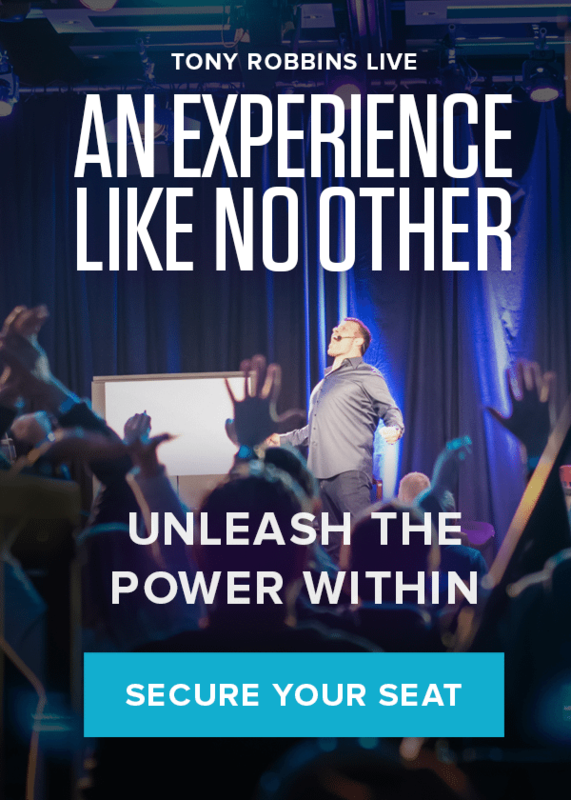 No matter your personality type, at Unleash the Power Within you’ll have the opportunity to connect with others who are also looking to reach the next level in life, just like you. Chase Jarvis was initially skeptical of immersing himself in such a large group of people. “How could I have an intimate, meaningful experience with 10,000 strangers? The reality is the effect that it has on you is inspiring as hell, and it’s also comforting, because it reminds you that you’re not alone,” said Chase. One of the struggles Chase dealt with at UPW was learning how to create and sustain healthy, nurturing relationships. After some reflection, Chase found that he had pursued love from those around him since early childhood, often resulting in less than ideal situations. Unleash the Power Within gives you the tools and strategies you need to identify what’s holding you back and how you’d like to move forward. Chase was able to recognize his deep need for love and significance that stemmed all the way back to childhood. Most importantly, Chase was able to access practical lessons that he could directly apply to his own life. Are you ready to turn the page and create a new story? By attending Unleash the Power Within, you’ll gain insight into your ultimate purpose, cast off lingering doubt and learn how to move forward to create the masterpiece you know your life can truly be. Discover how to take your life to the next level today and connect with a Personal Results Specialist today.